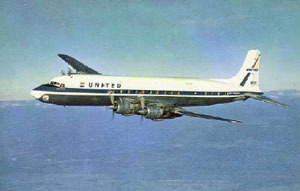 On the morning of June 30, 1956, TWA Flight 2, a Lockheed Super Constellation, collided with United Air Lines Flight 718, a Douglas DC-7, over the Grand Canyon. Both aircraft fell into the canyon. There were no survivors among the 128 persons aboard the flights. This accident involved two of the largest commercial aircraft in service and was the deadliest aviation disaster in history at that time. It was a catalyst for changes to the air traffic control system, and led to the creation of the Federal Aviation Agency. The airliners had both taken off from Los Angeles International Airport that morning only three minutes apart. 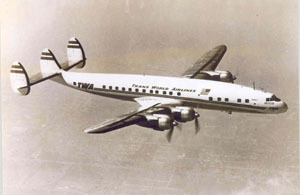 The TWA flight to Kansas City departed first and initially routed north, while the United flight to Chicago initially routed south. The flight paths were planned to cross near the Grand Canyon, at the Painted Desert line of position as the Kansas City flight routed back south and the Chicago flight routed back north. Although the flight plans called for the flight paths to cross, the planned altitudes differed by 2,000 feet. It was also highly unlikely that the airplanes themselves would actually be at the intersection of the flight paths at the same time. However, the flights both ended up at an altitude of 21,000 feet, and collided over the Grand Canyon. This great loss spurred public debate on the need to mitigate the risk of midair collisions in an age of unprecedented aviation growth. The accident was a major factor leading to the creation of the Federal Aviation Agency in 1958, and to major changes in the control of air traffic.